Anyone else sick of either a) those cheap, rickety iPhone cases peddled around on the online versions of fete market stalls or b) those horrendously overpriced ‘Apple approved’ cases which look good but my God how can anyone charge that much for a piece of plastic and still stay legal? Me too. So much so that my iPhone, one of ye olde 4S generation, is currently uncased. Or was. Until this review assignment came in. What fell in to my lap was a solution to all three problems; it looks good, it protects the phone AND it’s reasonably priced. Well, top marks from me in that last category, I got it for free. 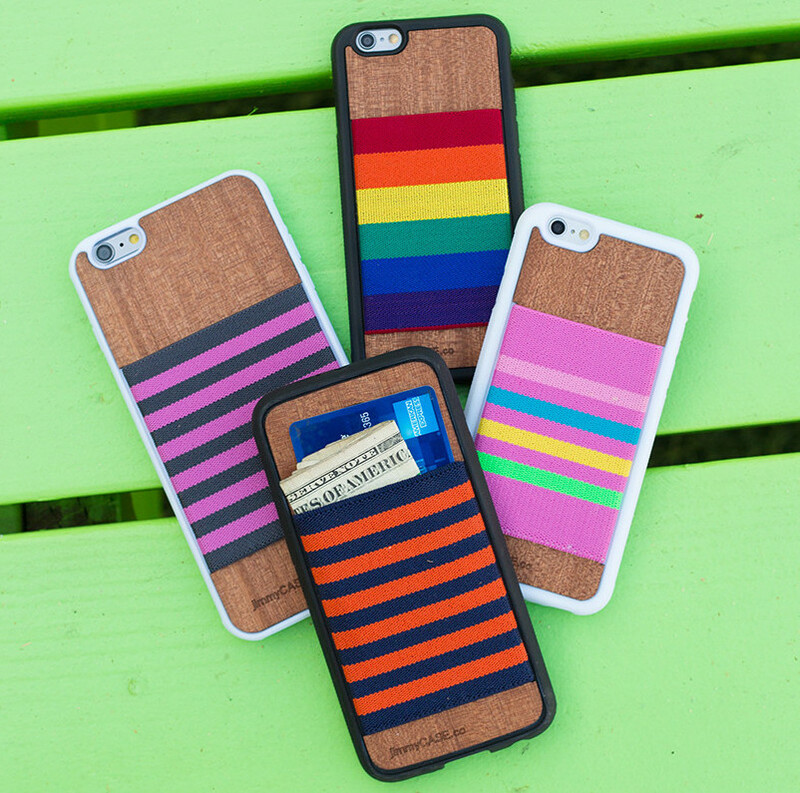 It’s called the jimmyCASE and it’s out now, just dying to jazz up your iPhone. First off, no, this accessory has no relation to James Case, the legendary English football player who shot to fame with the all-conquering Liverpool side of the 1970s and became known as a player with one of the hardest shots in the game. Though it might have a tangential relationship; the jimmyCASE is so sturdy that it could possibly survive one of Master Case’s soul-trembling kicks. Maybe. It’s pretty sturdy. The brainchild of Dan Smith, jimmyCASE originated, and is still based out of, Los Angeles, California. Smith quit his job as a TV executive and focused on righting a nagging wrong; he always found his pockets stuffed with unnecessary stuff. Like a wallet. And an iPhone. But he needed the iPhone. So he lost the wallet. Well, not completely. He simplified the traditional design down to a strip of strong elastic fabric attached to the back of the phone case (each one hand-woven, don’t you know). These days, let’s face it, not a whole lot of people carry cash; a card or two is all you need, so Smith has the right idea here. And it works like a charm. There’s no loosening of the fabric and no danger of the cards slipping out. The other thing to note about the jimmyCASE is that it looks incredible; it’s a simple yet bold design that contrasts perfectly with the iPhone’s ultra modern preference. There’s a strong protective rim around the outside that guards the phone against mishaps and fitted on the back is a tough looking slab of wood, which yes indeed is real wood, military-spec and sourced from a local aircraft manufacturer. Smith and his team have obviously cut no corners with their creation and it shows. If you’re in the market for a new cover or want to ditch your fraying oversized wallet, check out there collection of wares, starting with the iPhone 6S case.